Ready To Write Your Screenplay In 2015? One of the best New Year’s resolutions you could make would be to finally write that novel or screenplay that has been burning inside of you. If you let 2014 pass without working on it very much, or not at all, then perhaps it’s time to get back on track. To help you with your screenwriting process, I am releasing a new HERO GOAL SEQUENCES movie breakdown example, this time for BRIDESMAIDS. In 2015, make a commitment to improve the quality of your screenplay writing. If you need help staying motivated, here are four useful tips that will keep you going until the finish line. When Stephen King writes the rough draft of a novel, he makes it his goal to write at least 2000 words each day. Set a similar goal for yourself. It doesn’t have to be 2000 words, it can be more like 700 or 500 or whatever you feel that you can realistically achieve in a given day. You are balancing work and other commitments. It’s darned hard to find time to write. But if you set yourself a goal, no matter how small, and resolve to meet that goal each day, then you will see your manuscript growing before your eyes. It’s a terrific feeling, and will greatly reinforce your progress. There are apps available to monitor your progress towards your goal. For example, you can download motivational apps that will ask you a simple question, “did you achieve your goal today?” And all you have to do is press the button yes or no. It will remind you how many consecutive days that you have met your goal. If you ever have to press “no” then you go back to zero. Keeping that continuous string of days on “yes” is a great motivator. Anybody can call themselves a screenplay writer and have a half-finished manuscript on their computer that they will finish “someday.” Announce your goals to your friends and family publicly, and on social networking sites. Then post updates. Knowing that you are going to post Twitter updates on your progress will keep you pressing forward toward a completed script. Sharing your progress with friends helps break the solitude that writing can impose, and it helps keep your commitment to your own writing plan high on your priorities list. Tackling a hard task can, in itself, provide even stronger motivation than tackling an easy one. If writing was easy, than anybody could do it! How many people do you know who are actual, active novelists? Or productive screenwriters? 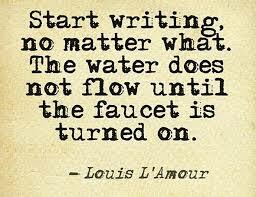 Writing is more than slumping at a keyboard in your pajamas with a cup of stale coffee. Try treating it like the true job that it is. Get out of those p.j.s and dress for your assigned writing time just like you would for any other kind of work commitment. Attitude is important. Some people are happy with easy jobs. But you’ve taken the path less traveled. Remember, though, that you do want to actually get to the end of the path – to the goal on the other side – and not just meander through the woods. Press ever onward with your novel or screenplay. 2015 can be your breakout year if you keep yourself focused and committed to the goal. We hope these motivational tips prove to be helpful. The New Year is here and everyone at The Story Solution would like to wish you a most fulfilling and productive year ahead. We look forward to hearing about all the writing you accomplish in 2015. Q: I am suffering from Writer’s Block. What can I do? A: Writer’s Block usually does not originate from a lack of ideas. Whether you are just looking for that next plot point, or Hero Goal Sequence idea, or developing the initial concept for your new screenplay – organizing your story into a workable form takes a real time commitment and a willingness to play with words. Being afraid of committing to an idea that possibly might not work out is a common cause of Writer’s Block. It is the shear FEAR that your idea, and the writing/thinking effort that surrounds it, will turn out badly. The way you get past this is to thumb your nose at fear and allow yourself to go on and “write badly with pride.” You must allow yourself the free-form thinking on paper that’s absolutely necessary to do before you can start shaping that messy pile of words into the work that will make you proud. Q: My plot is falling flat. Nothing seems to happen. What can I do? A: If this is the case then you might find “The Story Solution” beneficial. In “The Story Solution” you will learn how to create vivid heroes and link together all parts of an active, driving plot. Your screenplay or novel is the biography of your lead characters. You will learn how to create a powerful biography for your hero or heroine using the 23 actions that all great heroes must take. Take your writing skills to the next level by attending these essential events in 2015. Eckard College Writers Conference: If you are looking for a winter conference in a warm area then look no further. This annual conference is held in Saint Petersburg, Florida from January 17-25. Not only will you find workshops on how to hone your writing craft but you will also meet with experts who can help you navigate the tricky world of publication. Writers, teachers, editors, and literary agents are all invited. Admission is selective, although the committee tries to balanced out writers who show early potential with more experienced writers. The discussions and workshops at this conference will help take anybody’s writing to the next level, no matter how much experience they have. Screenwriter’s Career Development Clinic – This is a 6-week class with Lee Jessup that runs every Monday evening starting January 12th, excluding January 19th and February 16th. This class is focused on helping you create and sustain a successful writing career through practical and strategic methods. The cost of this class is $395 and there are 18 spots available. Classes are located at 1001 Colorado Avenue, Santa Monica, CA, 90401. 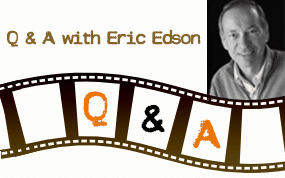 About The Story Solution book: Eric Edson has written seventeen feature screenplays on assignment for such companies as Sony, Warner Brothers, Disney, 20th Fox, ABC Motion Pictures, Lifetime, Showtime, NBC, and TNT. 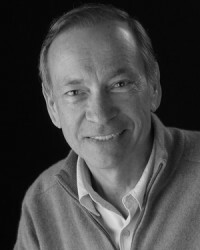 He provides screenwriting tips so that you can become a more effective screenplay writer. If you are looking for the best books on screenwriting or if you need help writing a movie script, The Story Solution has practical tips that will help you along your path as a screenwriter. 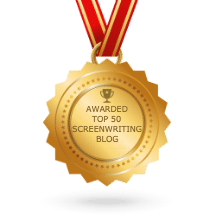 Get started today and begin writing screenplays that make an impact. To learn more, follow us on Twitter @storysolution, and like us on Facebook for a chance to win a signed copy of ‘The Story Solution. Pick up a copy at MWP.com or Amazon.com. In this modern world, I am glad that you suggested apps to help authors become more effective. I would also like to suggest the use of social media for people interaction and for motivational purposes. This way, screenplay writers will be exposed to the world outside even while staying at home.